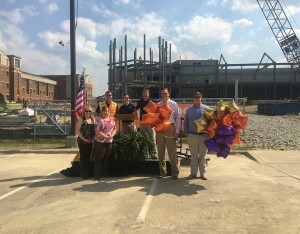 New Student Center tops out at East Carolina University - Rodgers Builders, Inc. 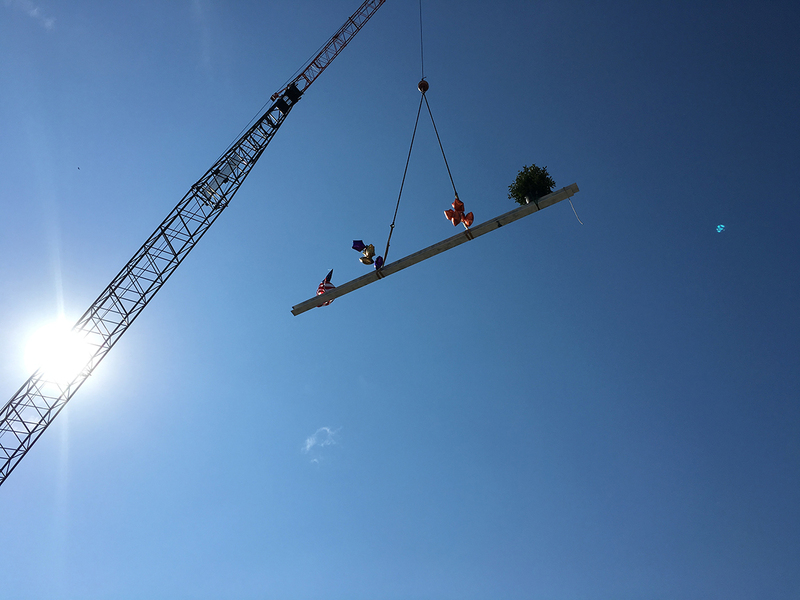 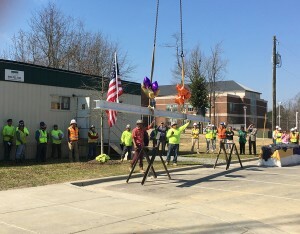 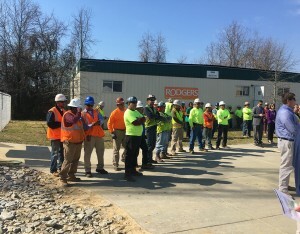 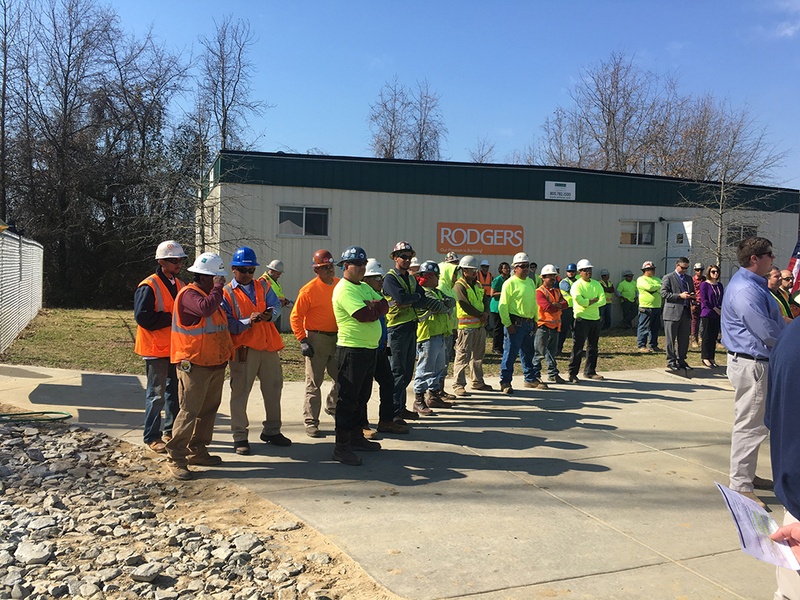 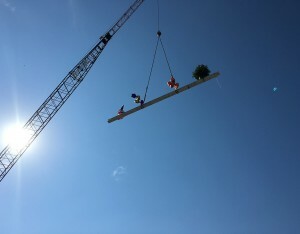 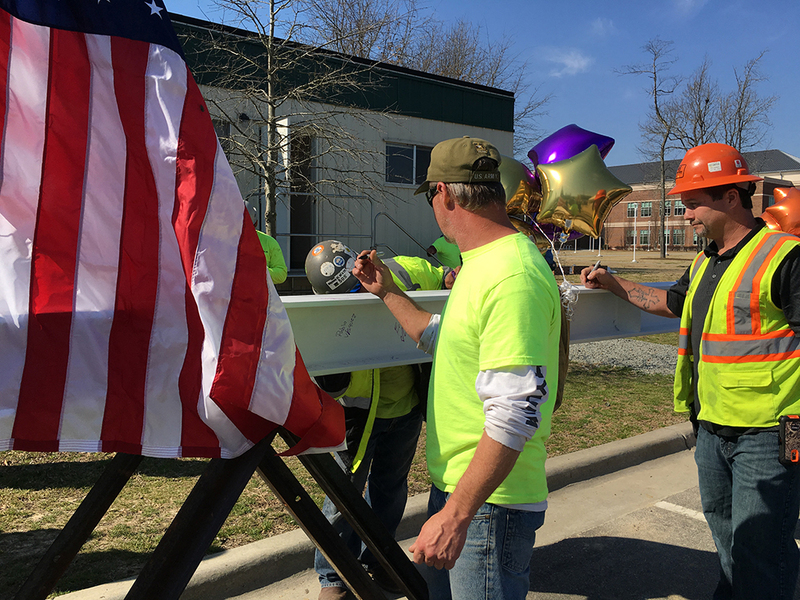 Subcontractors and craftworkers were applauded at East Carolina University during a traditional topping out ceremony. 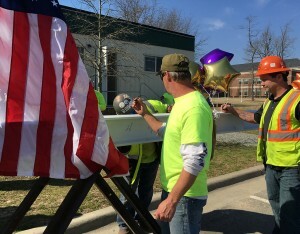 The hard work and dedication to safety that each worker contributed was celebrated as the final steel beam was raised into place for the school’s new Student Center on the Health Sciences Campus. 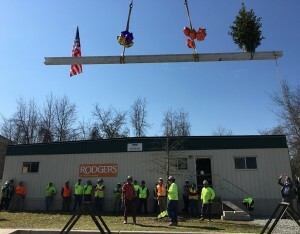 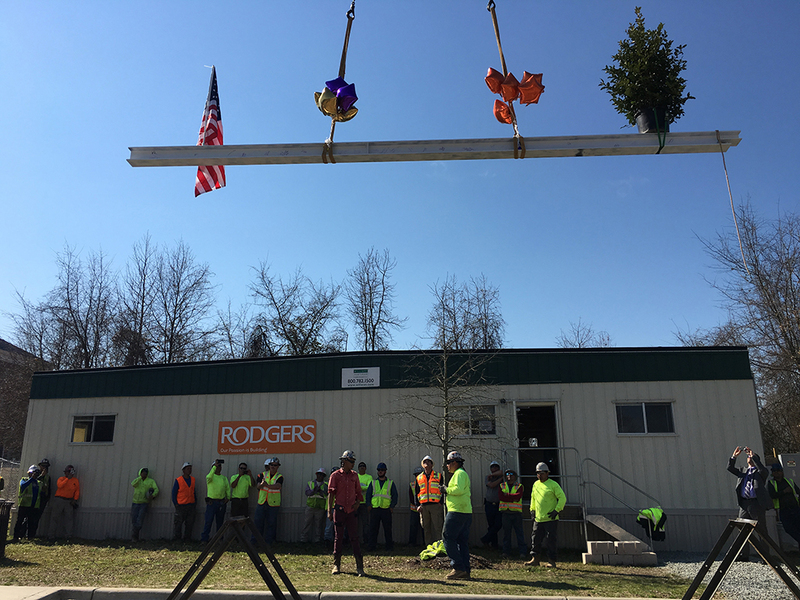 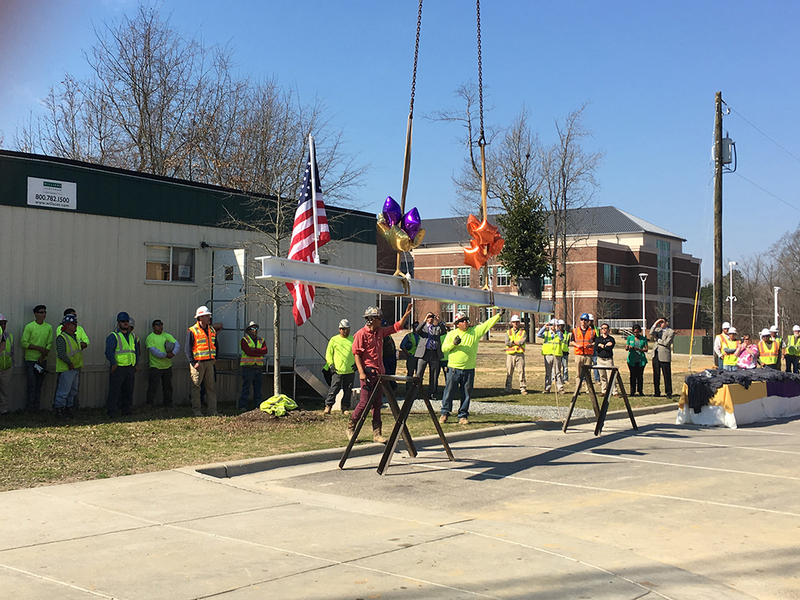 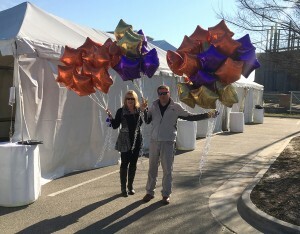 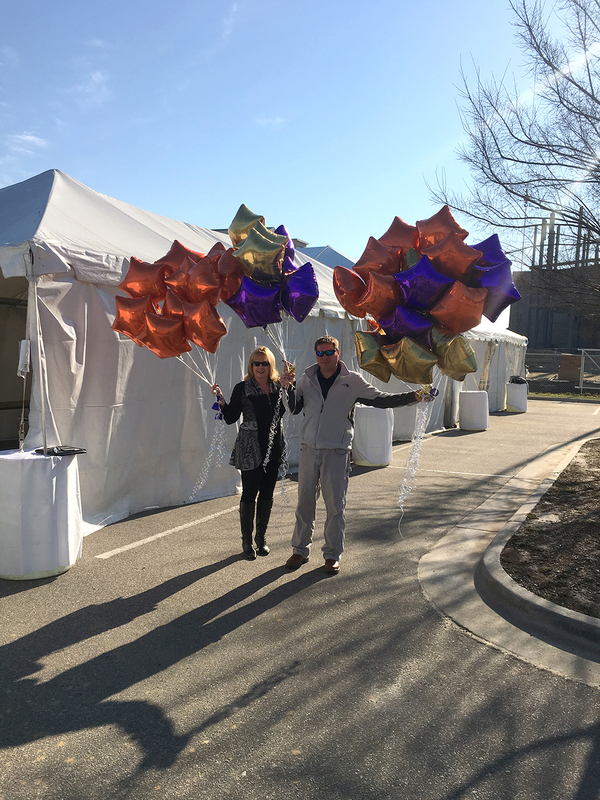 Rodgers would like to add a special thank you to Harris Steel Erectors, Inc. who seamlessly raised the steel beam, adorned with an evergreen tree, American flag and purple and gold balloons, into place atop the Student Center. 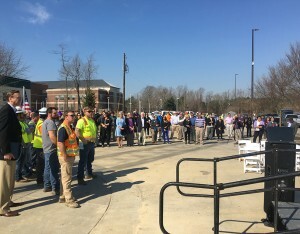 The two-story, 75,000-square-foot facility will include dining, a student services center and a 25,000-square-foot Wellness and Recreation Center, containing a multipurpose gymnasium and fitness center. Multiple lounges and study rooms, along with meeting and event space will provide students with ample options for activities and gatherings. 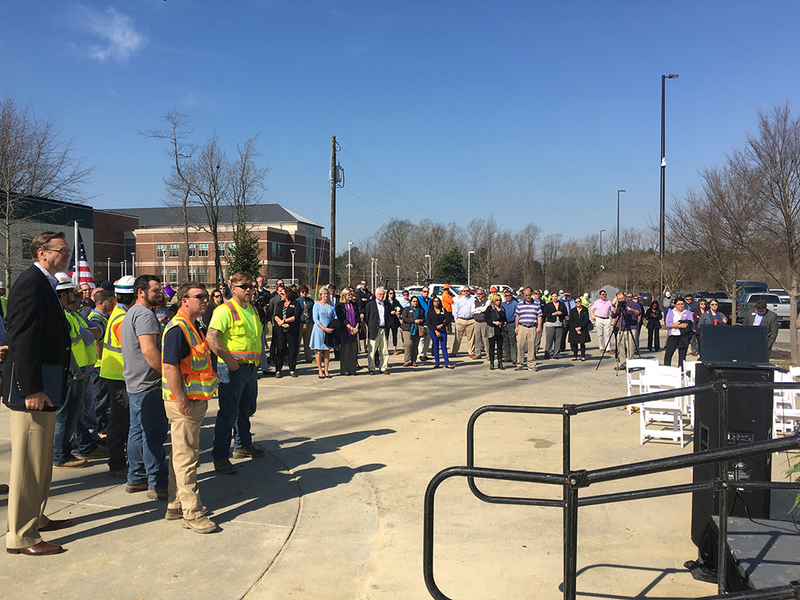 Serving as hub for students, faculty and staff, the multipurpose facility will be a center for social, cultural, educational and extracurricular activities.